We, the Eucharistic Community of St. Joan of Arc Parish, by the grace of God and throughout our participation in His Word, the Church's sacraments, and prayer, seek our eternal salvation. 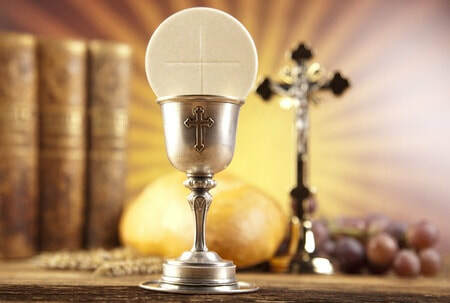 We live out the doctrines and traditions of our Faith in communion with the holy, catholic and apostolic Church, established by Our Lord, Jesus Christ. With courage, we follow the example of our patron saint and invoke her intercession as we strive to know God, love God and serve God which moves us to actively promote and live the Gospel of Jesus Christ in the midst of our every day life.